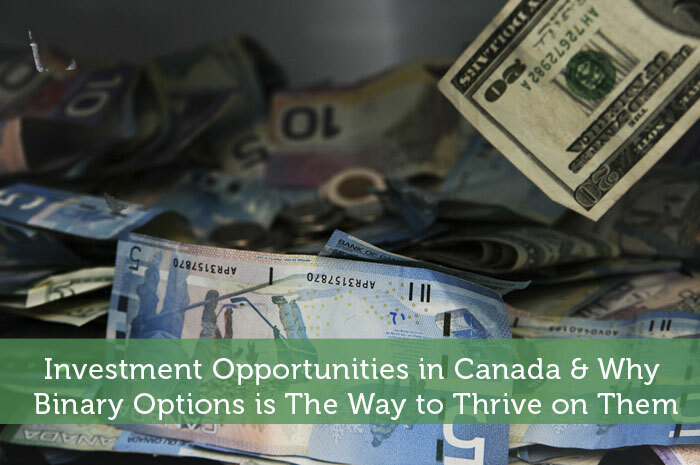 Canada is blessed with several investment opportunities. For several years now, Canadians have invested in oil, farmland, and small business equity. While these are excellent investment opportunities, more and more Canadians are now embracing online investment. People now realize they can make easy money trading online, that they can make huge profits by understanding and predicting market directions. The traditional stock market is readily available at the click of a button nowadays, allowing Canadians to engage in foreign stocks now more than ever. The Canadians Securities Exchange (CSE) allows sellers and buyers to trade on various stocks for profit. Buyers and sellers are brought together as each aims to make a profit by predicting the value of shares in the near future. Canadians can now trade on foreign stock exchanges giving them a wider choice of tradable assets. All that is required of people is a clear understanding of the market and how shares are purchased and sold. Online Forex trading is another great opportunity for people to make easy money by trading on the value of various currencies. This is done by predicting the value of the currency and by selling the currency when it reaches a desired worth. There are several foreign exchange companies in Canada that offer trading services online. Forex trading can earn individuals some good amount of cash if they can correctly predict how currencies will change in value. Traders just require a decent broker that offers good leverage and then take advantage of the leverages offered. This does not mean there are no risks involved in trading Forex. However, with clear understanding of the market and the factors influencing prices, people can quickly increase their earnings by trading on the Forex. One great online business opportunity that is becoming increasingly popular in Canada is binary options. This form of trading is turning to the alternative choice to Forex trading that is considered a bit risky. With binary options, one knows the exact amount of money one can lose if projections don’t go their way. This is different from Forex in the sense that you are never sure of how much you can win or lose. It allows for better control of funds as people can anticipate how much they can gain or lose within a particular timeframe. Binary trading is less complicated than Forex and does not require the high entry fees Forex brokers usually demand of you. Traders will not be so much reliant on leverage – a case well observed with Forex trading. Binary options allow traders to refund part of the money easily if they think the market projections are not going their way. However, this is not offered by all brokers, and one must clearly understand all the conditions before engaging in trade. Binary options are an excellent investment opportunity if you have an interest in online trading. It is very easy to join and lacks the complexities involved in the traditional Forex market. One can quickly place a trade after three to four steps of registration with a broker and start earning. The fact that you need to choose between two options of Call or Put makes trading a breeze. The profits individuals make depend on their investment, experience, knowledge of the market and the profit percentages offered by the broker, which in some cases reach as high as 89% of return on investment. So to sum it up, trading in binary options is an excellent way to make money online when compared to other online trading platforms, and it could be the leeway you need to properly fund a business, like these growing businesses in the Canadian market listed on the Canadian Investment Network. Binary options is becoming increasingly popular online, I have a ways to earn money online very popular and risky also gaf. Trading options can be fun and a great way to earn a good return on your money. But just like anything else, you have to make sure you have a solid understanding of how they work and have a plan when trading so that you can make the most of a given situation.